Insight has loads of useful processes available to get the most out of your workflow. The list is extensive, but which apply to me? Are there other similar processes I can make use of? Which modules do I need to run the processes I want? Our overview pages are the perfect first stop to answer all these questions and more. Our manual cleverly separates all processes into clearly defined areas. Interested in gathers? Velocity related process? Only care about processes which can be applied to volumes? Or which filters are available? 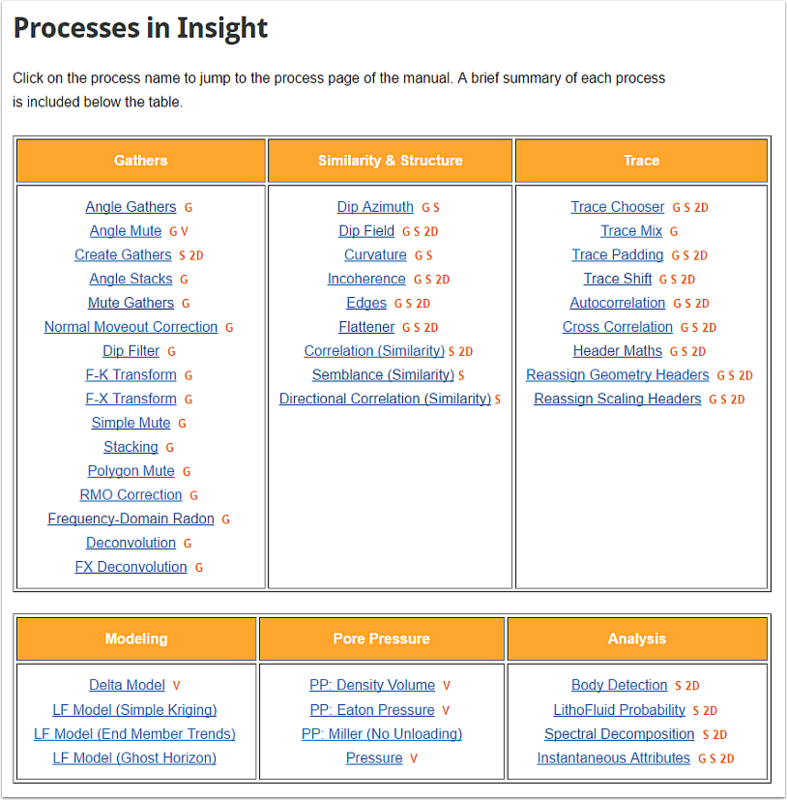 The Processes in Insight page sorts the long process list into a more manageable group structure. See at a glance, which processes are most helpful for your workflow. Wondering if a process will work on your data? Check out the data type next to the listed process, eg. only works on G (gather data), great, just what I need! Click here to find out more. Found the process you need? Click on the process for more information, a quick details overview tells you key information at the top of the manual page. Found a couple of processes which are key to your workflow? 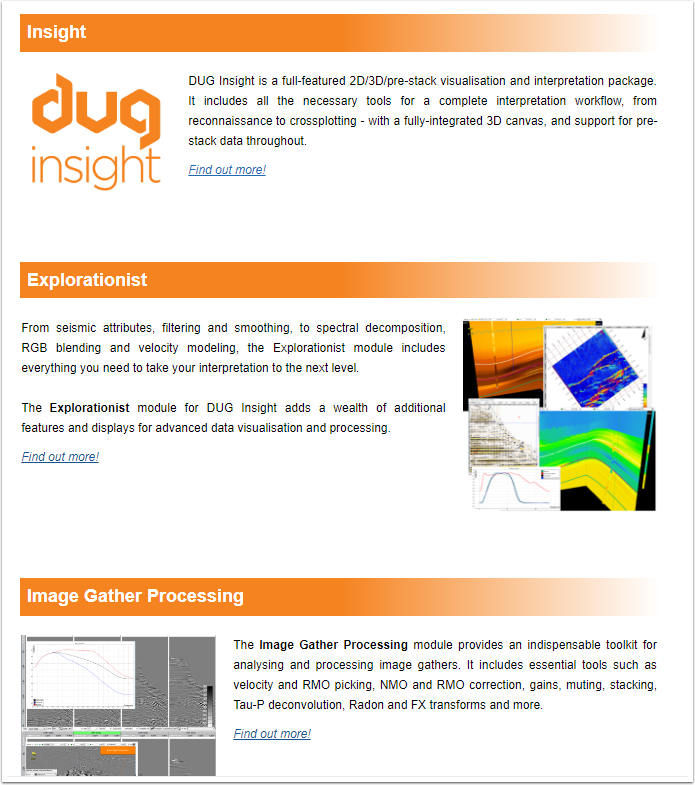 Check out our modules and process in Insight page to find out which modules you need. See which other process are available in each module. Really useful guide when deciding on what your team needs! Click here to view the modules and processes page.